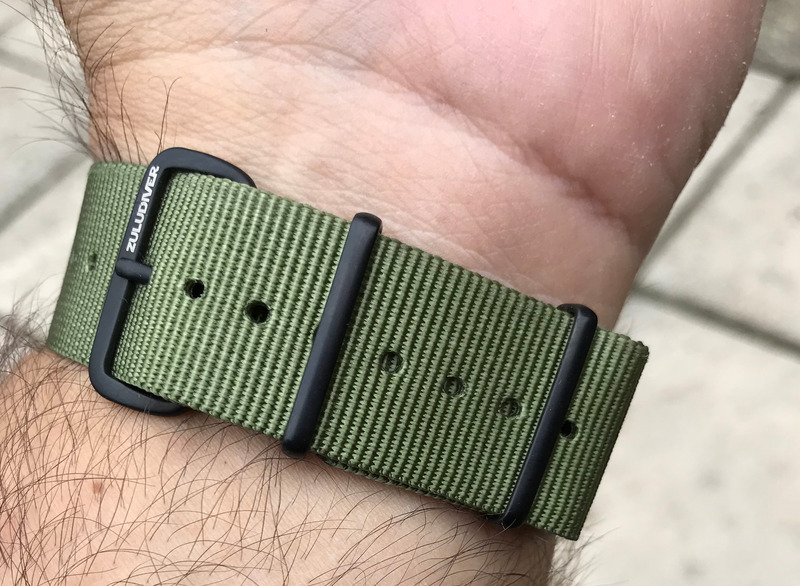 Sorry if covered before, but I don't like to see the strap tuck or have the extra bulk of the completely unnecessary 2nd layer of fabric under the watch, so I just trim that off & fit the strap so the buckle & strap fold is under my wrist as below. 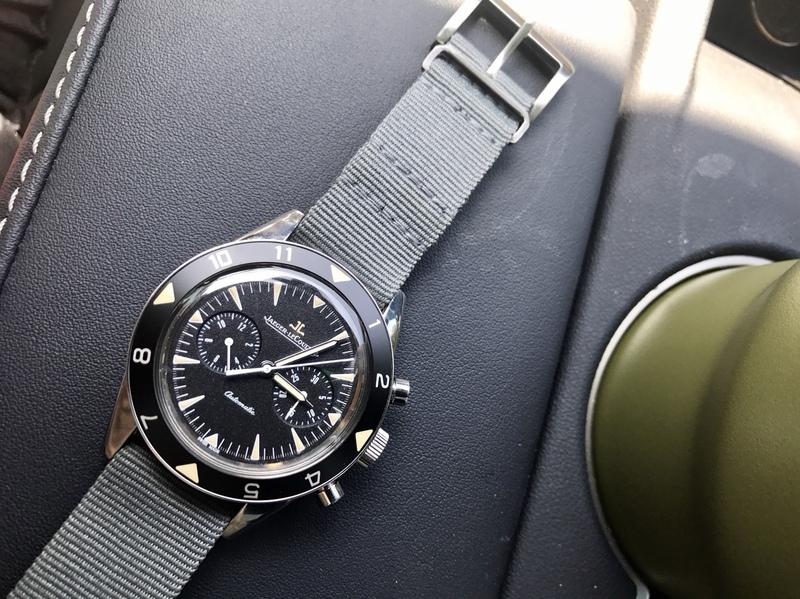 There are quite a few who agree with you, some vehemently (Art), but for my wrist with the right watch, I like the full NATO. Trimming the extra fabric makes the NATO "drape" awkwardly on my wrist. In general, it's seems like the guys with larger wrists prefer neutered. Cut the extra flap. Cut the excess tail. Cut off the extra piece of hardware. Single pass as minimal as I can get it. 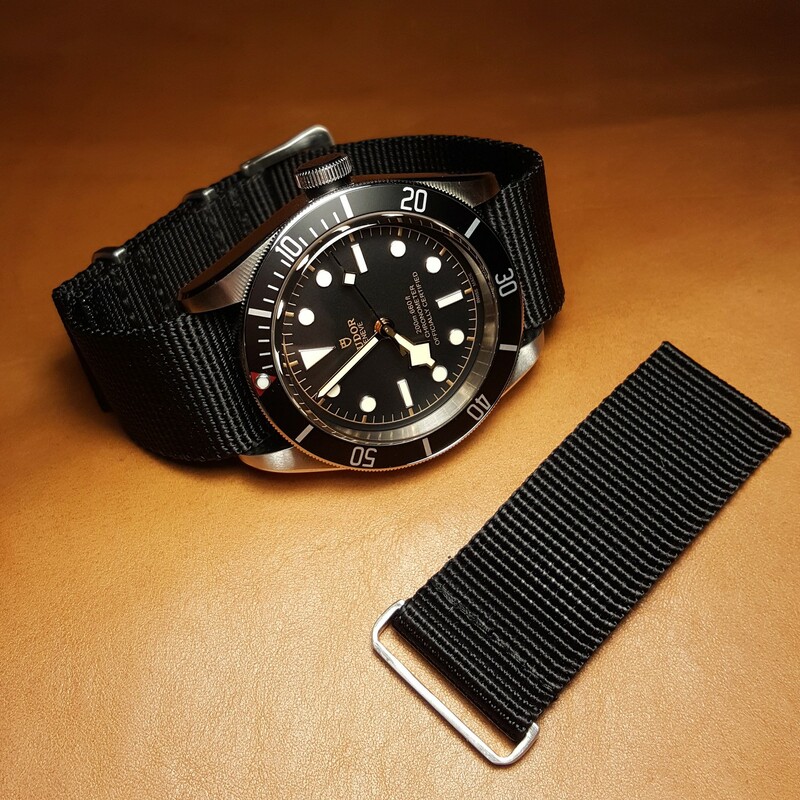 If I'm not mistaken, there's a nylon strap that is made like a neutered NATO, and it's called a RAF strap. 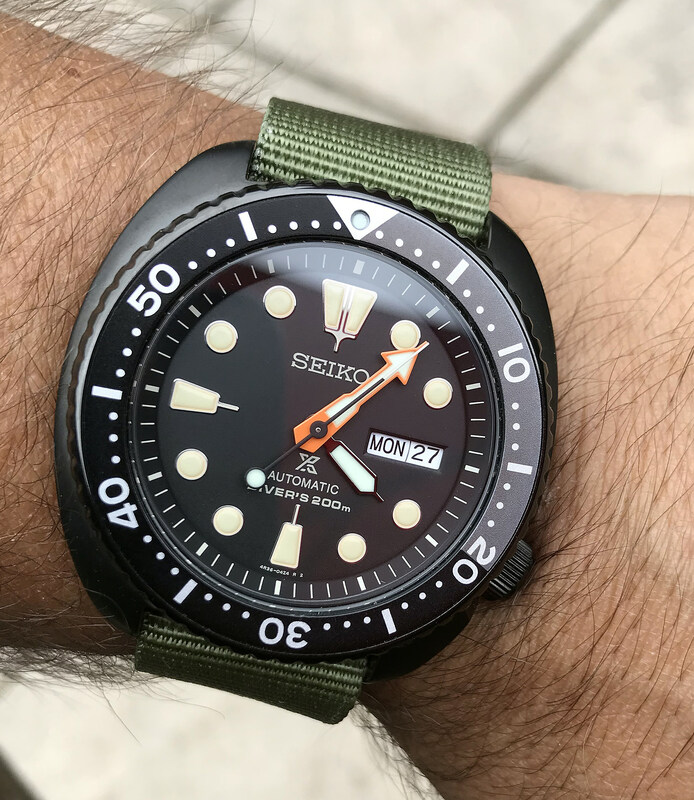 I bought a few years ago and preferred them for a little while, but like Matt if I'm going to wear a NATO I prefer the full hardware. It is called a RAF strap. It also has a nylon keeper instead of hardware. The ones I bought from Timefactors (before Toxic!) had metal hardware, and ended up being the same as the ones that guys neuter, but it may not have technically been a RAF. Yours are the most comfortable as well.